Leading synthetic turf surfacing specialist Notts Sport has secured an exclusive three-year contract to provide safer surfacing solutions for Glasgow City Council. Notts Sport has been the exclusive supplier of safer surfaces for recreation and play to Glasgow City Council since 1991, and in that time has worked with the council on over 650 playgrounds and multi-use games areas. The company won the latest contract – the biggest safer surfacing tender in the UK – ahead of many of its main rivals in a competitive tender process. 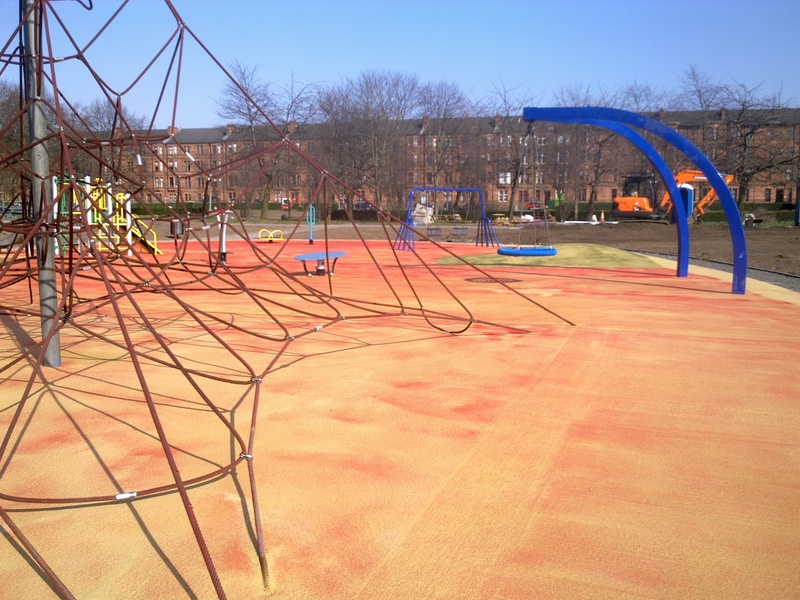 Many of Notts Sport’s installations for Glasgow City Council have seen the company provide a cost-effective solution to refurbish wetpour rubber playgrounds. Notts Sport’s hard-wearing, vandal-resistant VHAF NottsSward carpet can usually be laid directly on top of an existing wetpour surface and requires minimal maintenance or repairs. Shaun Patrick, Chairman of Notts Sport, says: “We’re delighted to have once again secured the biggest safer surfacing contract in the UK. 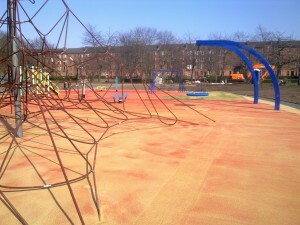 “Glasgow City Council began working with Notts Sport 23 years ago following a thorough evaluation of all the surfacing options available and has stayed with us for so long because of NottsSward’s tremendous vandal-resistant qualities – a particular concern for the authority – and the durability of the product, with many of our installations in Glasgow lasting over 15 years without the need for repair or replacement. Notts Sport has also worked with Glasgow City Council on a ground-breaking new type of play area at Glasgow Green which became the forerunner of the ChildsPlay Active system, which has since been rolled out nationwide. ChildsPlay Active creates new opportunities for active play and encourages healthy living and exercise by combining sport, play and education in one space. Notts Sport also provides a full service solution for the local authority including running installation courses for council staff, and providing maintenance training for apprentices. The surface and underlying elements of the popular ChildsPlay system combine to offer a playground that is clean and quick-draining after rain, and resistant to cutting, fire and graffiti. ChildsPlay can include varying levels of shock absorbent layering beneath the VHAF NottsSward artificial turf, offering critical fall height protection of up to three metres. The synthetic VHAF NottsSward turf carpet is available in 15 colours, offering unlimited potential for patterns and games, and can be laid over shapes, mounds and hollows. Whatever colour or form it takes, the textured, tactile carpet also has great sensory appeal. Meanwhile, Notts Sport’s high-quality synthetic turf systems are suitable for a range of sports and activities and, where space and budgets are at a premium, a multi-use games area provides a cost-effective way to offer a variety of activities on one surface. The company’s top-quality project management and design service is available at no upfront cost, so clients can be sure they’ve chosen the perfect scheme before making an investment.